World Heritage Sites are places of natural and/or cultural significance that are considered to be of "outstanding universal value". Achieving inscription on the 'World Heritage List' involves a nomination and evaluation process that can take several years. Some World Heritage Sites are sites of both natural and cultural significance. World Heritage Sites (WHS) came into existence as a result of the International Convention Concerning the Protection of the World Cultural and Natural Heritage (the Convention), which was adopted by the General Conference of UNESCO (United Nations Educational, Scientific and Cultural Organization) in 1972. The primary goal of the Convention is to "identify and protect the world's natural and cultural heritage considered to be of'outstanding universal value'" The World Heritage Committee is the main body in charge of the implementation of the Convention; it is supported by the UNESCO World Heritage Centre, which acts as the secretariat for the Convention. The World Conservation Union (IUCN) also provides technical services to the UNESCO, regarding WHS. As World Heritage Sites of universal value and significance, these special places belong to all global citizens, regardless of geographic location. Both the home country and the rest of the world hold an obligation to maintain and protect these sites for current and future generations. The World Heritage List currently consists of 830 sites, which include 644 cultural, 162 natural and 24 mixed areas in 138 States Parties. Boreal forest ecozone is under represented on the World Heritage List in relation to their global total area. 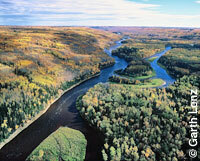 Of the natural sites included on the List, twelve are located in the boreal ecozone. 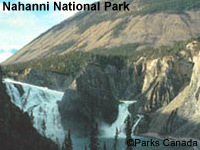 These sites are located in four countries (Russia, Sweden, Canada and the USA). The boreal ecozone contains several features of outstanding universal value such as unique forest and wetlands ecosystems and species assemblages, habitats for rare and endangered species, the world's largest intact frontier forests, geologically and geomorphologically unique territories, and areas of superlative natural beauty. The workshop also recognized another feature of outstanding value in the unique cultural heritage representing the diverse lifestyles of several indigenous peoples and ethnic sub-groups that have inhabited the boreal forest regions for thousands of years and maintain their traditional lifestyles. The boreal forests and associated wetlands are also globally important freshwater resources and carbon sinks for the world. Furthermore, boreal forests and the cultural heritages supported by this ecozone are currently under threat due to extensive industrial activities and climate change. As a result, the Proceedings of the World Heritage Boreal Workshop (October 2003) have been added to the list of under-represented themes on the World Heritage List, which guides the World Heritage Committee when evaluating new WHS nominations. World Heritage Site (WHS) nominations can be made by countries that are signatory to the Convention Concerning the Protection of the World Cultural and Natural Heritage (the Convention). Nominations are evaluated by two independent Advisory Bodies - ICOMOS (the International Council on Monuments and Sites) for cultural properties and IUCN (World Conservation Union) for natural properties. ICOMOS and IUCN work together for the evaluation of mixed (natural and cultural) properties, while IUCN also provides input, where relevant, to the ICOMOS evaluation of cultural landscapes. The IUCN evaluation process includes a field mission to each nominated site to meet the authorities and stakeholders, and to assess the management and integrity of the site. IUCN also seeks input from international experts knowledgeable about the sites or the natural values they represent. These reviewers carry out desk reviews of each nomination and provide views on their global significance, management and integrity. - overview of nomination area's history and development; how the property has reached its present form and the significant changes that it has undergone; information shall support and give substance to the argument that the property meets the criteria of outstanding universal value and conditions of integrity and/or authenticity. The first step to be taken by a country is the creation of an 'inventory' of its important natural and cultural heritage sites, known as the Tentative List, . The Tentative List is the list of sites that a country may decide to submit for WHS inscription in the next five to ten years. It may be updated at any time. The World Heritage Committee cannot consider a nomination for inscription on the World Heritage List unless the property has already been included on the country's Tentative List. The Nomination File is prepared in accordance with Section III Operational Guidelines for the Implementation of the World Heritage Convention (the Operational Guidelines) and must be as exhaustive as possible, and ensure the necessary documentation and maps are included. To be included on the World Heritage List, sites must be of outstanding universal value and meet at least one out of ten selection criteria listed in Section IID of the Operational Guidelines. When the Nomination File is submitted, the World Heritage Centre reviews it and checks to make sure it is complete. Complete Nomination Files are then sent by the World Heritage Centre to the appropriate Advisory Bodies for evaluation. Two Advisory Bodies mandated by the World Heritage Convention - the International Council on Monuments and Sites (ICOMOS) and the World Conservation Union (IUCN) - independently evaluate WHS nominations. Their evaluations are provided to the World Heritage Committee. A third Advisory Body - the International Centre for the Study of the Preservation and Restoration of Cultural Property (ICCROM) - is an intergovernmental organization which provides the Committee with expert advice on conservation of cultural sites, as well as on training activities.